Boujee Food & Things serves up comfort food, re-imagined. Check out their catering menu, visit their website, and follow them on Instagram and Facebook. Monique’s Hot Kitchen offers authentic Kenyan cuisine made with natural ingredients. Give their catering menu a look, and follow them on Facebook. East and West Catering brings fresh flavors from East and West Africa. Their catering menu is coming soon; in the meantime, visit their website to learn about their offerings. Wednesday, April 10: East and West Catering will begin holding dinner-to-go pop-ups from 5-10 p.m. at Ubuntu Street Café (202 W. Gowe St. in Kent). They have more pop-ups scheduled at the same time and location on April 13, 15, 17, 22, 24, and 29. Their April 13 grand opening pop-up will feature complimentary food and in-store dining. Friday, April 12: Boujee Food & Things will begin holding dinner-to-go pop-ups from 5:30-9 p.m. at Ubuntu Street Café (202 W. Gowe St. in Kent). They have more pop-ups scheduled at the same time and location on April 16, 18, 19, 25, 26, and 30. Find them on Uber Eats if you’re looking for delivery! Saturday, April 13: FIN's Taste Around the Globe booth will make its debut at Pike Place Market featuring Boujee Food & Things! Come get a delicious lunch or snacks between 11 a.m. and 4 p.m. Find them in the new MarketFront plaza near indi chocolate and Honest Biscuits. Our booth at Pike Place Market will feature rotating FIN food businesses on April 14, 19, 20, 21, 26, 27, and 28. 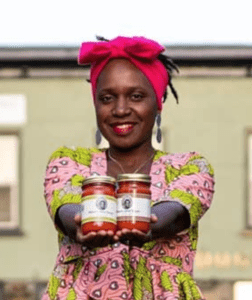 Saturday, April 20: Naija Buka will launch their new Mama’s Stew Sauce and Mama’s Jollof Sauce products from 11 a.m.-6 p.m. at the Cheese and Meat Festival. Learn more and get tickets on the event website. 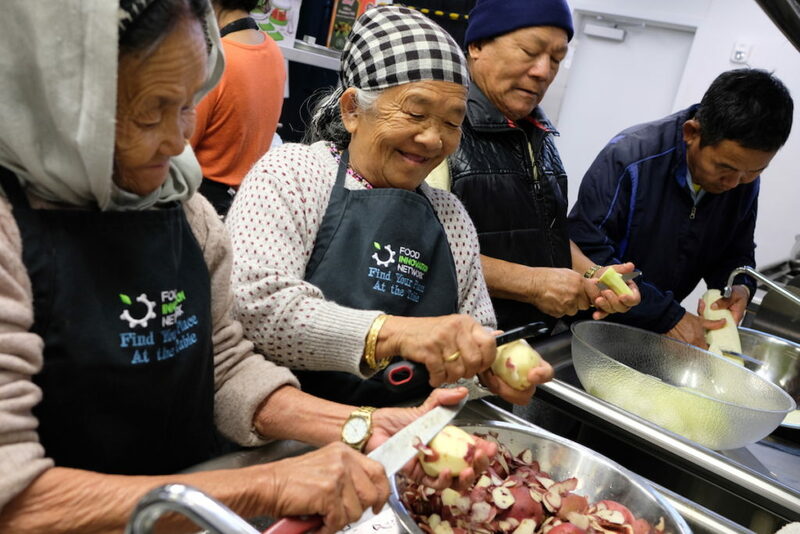 Saturday, April 27: Mamá Tila will be featured at Project Feast’s Migrating Meals. Learn more and get tickets on the event page. Happy New Year, and Thank You for an Amazing 2018! added a new Tukwila Village location to Namaste Farm Stand, and offered a total of 39 farm stand days. Together with our partners at IRC New Roots, we became authorized to accept SNAP/EBT payment as well as Fresh Bucks, and we made locally grown produce affordable and accessible for hundreds of customers. Hear from a few of them in this video. supported local food entrepreneurs in launching and growing five new businesses. We also established the Taste Around the Globe booth at the Renton and Federal Way farmers markets; this gives the entrepreneurs an opportunity to build a customer base. In coming weeks we’ll debut video profiles of all these business owners – keep an eye on this site! 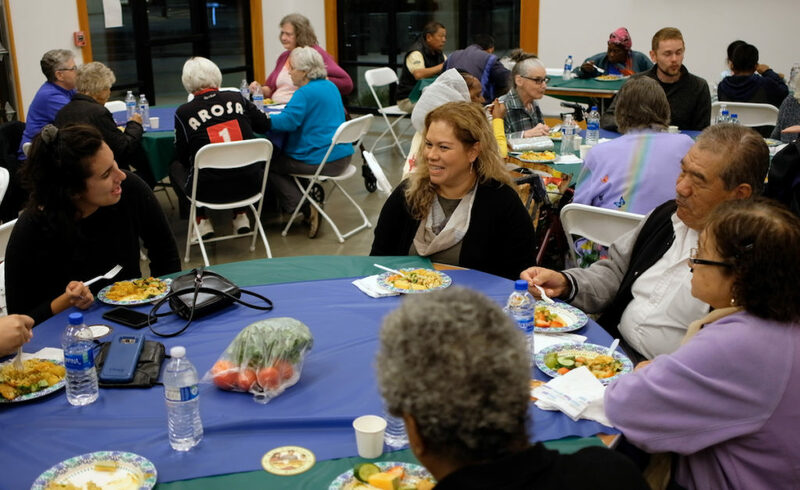 hosted five Community Kitchen Dinners, a Food and Community Resource Fair, and four cooking classes – all led by community members. expanded our cohort of Community Food Advocates from six to nine. These advocates are at the heart of FIN’s work, from driving our annual planning to leading a training on intercultural leadership development for FIN partners. provided a two-part workshop on food access resources. Participants then shared these resources with their communities through presentations at ESL classes, social media posts, and other outreach. began facilitating the South King Urban Agriculture Network of more than 15 partners focused on supporting land access opportunities and resource coordination for aspiring food growers. We also provided a daylong Farming in King County workshop for refugee and immigrant community members. We’re excited to build off of this success, and we’re cooking up a lot of great things in 2019. 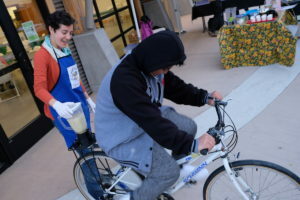 Stay tuned for updates on new food businesses launching, Namaste Farm Stand expanding, and even more fun community events!